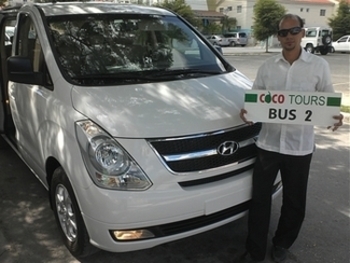 Cocotours operates our Dominican airport transfers 24/7/365. Whichever Dominican international airport, cruise port, hotel, apartment complex or private villa you need to get to, book with Cocotours. If you'd like us to quote you a rate for any of our Dominican airport transfers routes, just fill out the form on this page. Available on our most common routes where we are likely to have several groups of customers arriving and departing at the same time. This is similar to a shuttle service, but unlike a shuttle service we only dispatch our buses and drivers to and from the airport if we are expecting passengers. 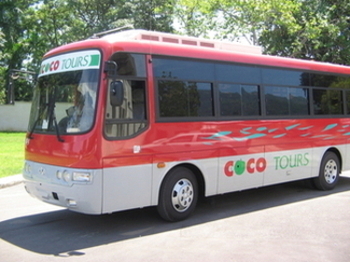 On a shared Dominican airport transfer you may be sharing the bus with other Cocotours passengers who have either arrived on the same flight as you, or who have come out of immigration and customs at about the same time. The main benefit for you with shared Dominican airport transfers is that you can keep traveling costs low while getting to your hotel with three or fewer stops, to let others off at their hotels along the way. It is also entirely possible that you book shared transportation with Cocotours and there may be no-one else to share with, in which case you've "lucked out" and are enjoying a private ride for the price of a shared one. 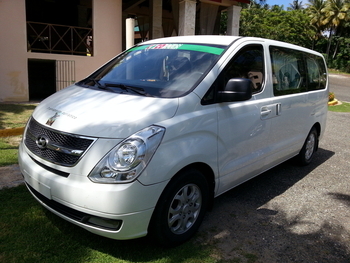 For almost all of our shared transportation services, we use 6- to 12-seater late-model vans. Offered on all routes within the country and to and from Haiti. Just as it sounds, you have a van and driver reserved specially for you. No stops on the way, you'll be driven straight to your hotel. Generally more expensive. On some routes we only offer private transportation, for example from Punta Cana to Santo Domingo as this is a long-distance route not commonly requested. Unless you are coming in a large group, most of the time for our private transportation services, we use 6- 12-seater late-model vans. For a quotation, please complete the inquiry form on this page.